We pride ourselves in providing outstanding customer service and we have a proven track record of successful projects completed. We work as your partner to streamline your budget and help you make prudent decisions for your needs today and tomorrow. We customize our services to fit each client unique needs and requirements. Our full array of services covers every aspects of a clients plumbing projects from design to completion. Our team of creative professionals is devoted to personalizing our work to fulfill your needs. We excel in being a reliable and trusted source for all of your plumbing desires. With a clientele that ranges from Corporations to business owners to home owners; no job is too big or too small. No matter what the scale, we’ll exceed your expectations. We are a client driven company that emphasizes collaborative communication between our team and customers. We’ll talk, listen and produce, making your vision a reality. We are committed. Quality customer service is our top priority. You’ll find that exchanges with us will be personalized and hassle-free. We strive for professionalism, courtesy and trust-building. 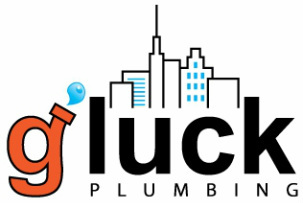 G'luck Plumbing is a full-service plumbing company. We are family owned and operated, this makes us better equipped to handle the problems associated to household plumbing. We walk our clients through each step; from the approval process to the design phase, through construction to completion of the project. Working with architects, engineers, general contractors, designers, decorators and astute homeowners, lead us to install many of the most intricate plumbing and boiler systems in custom homes, nursing homes and high-rise buildings.